$175 - $250 per hour. Includes travel. 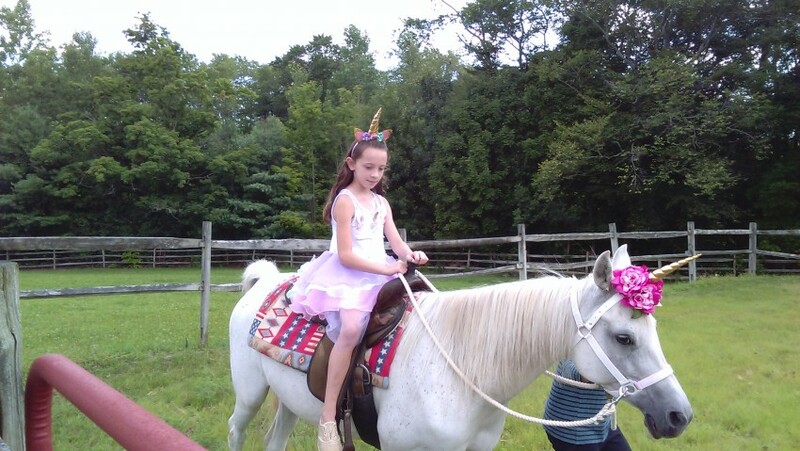 Looking to rent a pony for birthday parties or other occasions??? We will bring our safe, gentle pony to your house within 20 miles of our farm (greater distances at an additional charge) or you can come to us. The pony works without a bridle or bit and responds to pressure on the reins alone. We show your youngster how to mount and dismount properly and to give the proper directions. By the end of the party your youngsters will know how to make the pony go, stop, back up, turn a complete circle, and turn left and right. We typically figure 12-15 children per hour per pony. Horse is great and very friendly! We booked them and had them come for my daughters 7th birthday. Everyone had a great time and I WILL book them again. 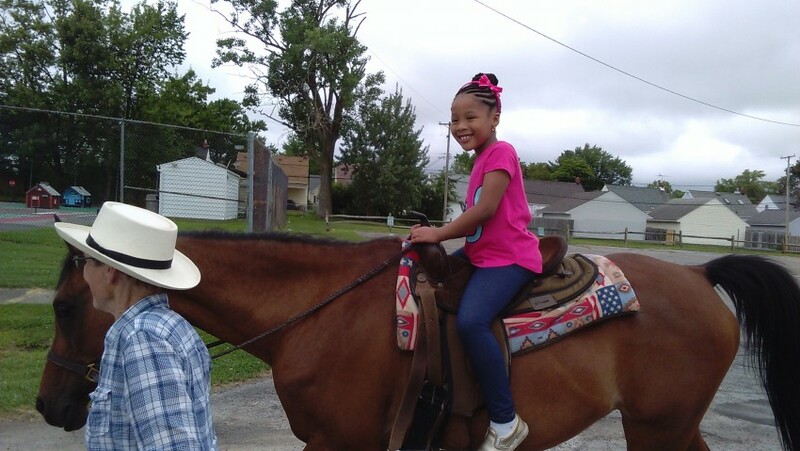 Horse was great and fabulous with the kids! It was an awesome day that we will remember for years to come!!! Price Range: $175 - $250 per hour. Includes travel. Looking to rent a pony for birthday parties, church functions, company picnics or other occasions??? We will bring our safe, gentle pony to your house within 65 miles of our farm (distances greater than 20 miles do incur additional charge) or you can come to us. The pony works without a bridle or bit and responds to pressure on the reins alone. We show your youngster how to mount and dismount properly and to give the proper directions. By the end of the party your youngsters will know how to make the pony go, stop, back up, turn a complete circle, and turn left and right. We typically figure 12-15 children per hour per pony. The price includes "cleanup and shine" and transport to your location in our own rig. This pony has given lots of children and adults lots of safe rides. She is safe on your street and will not spook from noise, motorcycles, autos, trucks, bicycles, or any other motorized vehicles. Critters such as dogs, deer, or rabbits do not upset her either, and plastic bags rustling in the wind are no threat at all to your child's safety while aboard. The pony's handlers also come with stellar credentials. We are a certified public school teacher with 30 years' experience working with children of all ages and a medical professional with 34 years' experience. Together the two of us, we have 32 years experience working with horses and ponies. At no time will your child be without adult supervision, and at no time will your child be directing the pony without a strong lead-line to guarantee adult intervention in the very unexpected chance of a problem. Best of all, we leave your site as clean as it was on our arrival! We require a signed contract with 50% down payment before we can bring our pony. Additionally, we ask that your youngsters wear sturdy shoes with a heel. NO BARE FEET or SANDALS will be acceptable, since safety as well as enjoyment and education are our primary goals. Weekend dates fill up fast! Typically we are booked 2 to 3 weeks in advance of party date.